The Murph! People will pay it, and I expect it will be easy to find at a lower price. Just call Topper. Thanks for the heads up. And now I see it's 42mm, and it looks like it's going to be >50mm lug-to-lug. Bummer, it's a nice looking watch and they actually stopped themselves from putting a date window on it. Timex and Todd Snyder have collaborated on a new watch called the Mid-Century that has just become available for purchase for $158 on the Todd Snyder site. The Timex + Todd Snyder Mid Century timepiece is packed with vintage-inspired character and functional features, and pairs well with everything from suiting to sweats. We’ve upgraded the original with a stainless steel case and day/date quartz movement for improved accuracy, and have styled it with a handsome leather strap with contrast stitching from S.B. Foot Tanning Co. in Red Wing, Minnesota. The Mid Century is crafted with the same domed acrylic crystal as its namesake, for a distinctive timepiece that evokes the past while meeting today’s exacting standards. 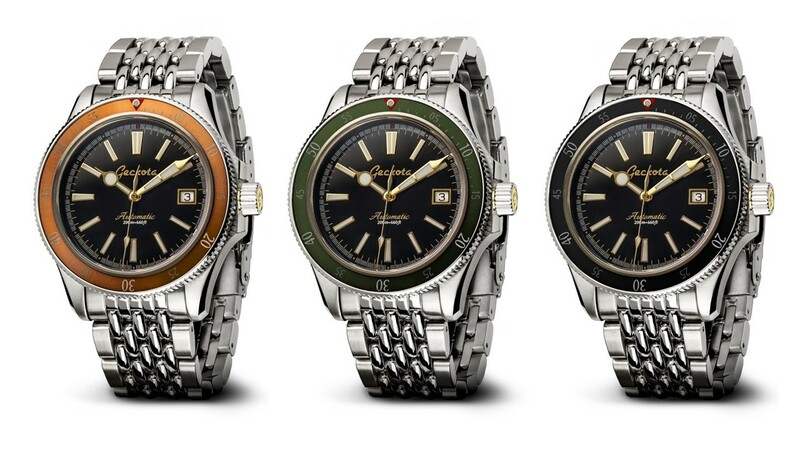 Just got an email from WatchGecko about their latest diver. Using an ETA 2824 and a competitive price for the style, I suspect it should do well for them. Special Features: Switzerland, Swiss made movement. Individual serial numbers. I love this design, and I own a couple of originals. Also, I loathe Todd Snyder. How is a design that came around in the mid-1970s "mid-century"? I found a short video that is up on their site and on Youtube. Ok now this is finally something from Hamilton that I want! wahlaoeh wrote: Ok now this is finally something from Hamilton that I want! Much more my speed. Now if only they could get the crown on the other side. Nodus Retrospect v2 open for pre-order now. $400 with a $200 deposit now. Delivery planned for April. The Retrospect is designed and assembled in Los Angeles, California. Looks great. Do you know the model number or have any links to the site where you found this? It’s brand new. Just go to the Hamilton site. Edit -Not on Hamilton’s site yet. Last edited by Robotaz on Sat Feb 16, 2019 10:42 am, edited 1 time in total. Wow. This just shot to the top of my lust list. I think the white version of the Hammy has been available for a while. If you like this, you could also check out the Farer chronos in some different colors. Similar vibe though. atdegs wrote: I think the white version of the Hammy has been available for a while. If you like this, you could also check out the Farer chronos in some different colors. Similar vibe though.